Born and raised in Southern California, Thomas Grossman, U’14, would have never thought “home” would be Kansas City. Not that he didn’t love his four years in the Midwest as a Spire, but he had his sights set on coaching college football—and rookies in the industry know moving from opportunity to opportunity is inevitable. Natchitoches, La. was Thomas’ first stop. He spent a year on the sidelines with the Demons of Northwestern State University—and though his love for football never waned from two-adays to Senior Night, he knew early in the season coaching wasn’t for him. Always interested in the business and finance world, the idea of becoming a certified financial planner piqued Thomas’ interest. He started studying for the College of Financial Planning certification test, and although the “typical” student completes their coursework in 12-24 months, two months is all it took Thomas. He landed his first position as a financial advisor with Merrill Lynch in Kansas City—and to make the City of Fountains feel more like home (aside from buying his first home and getting married to the love of his life, Erica, a KC native, this May), he also started thinking about reconnecting with all the young Spires that call Kansas City home. 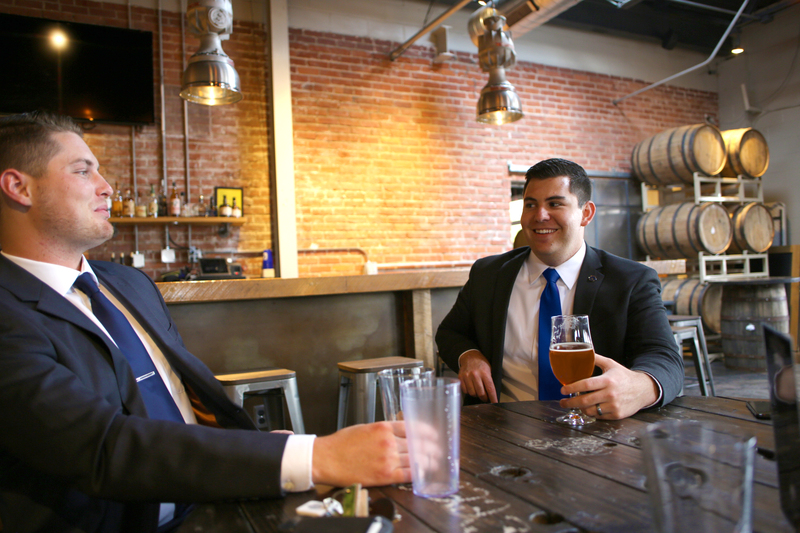 With the insight and help of fellow Saint Marian Corey Hamilton, U’03, M’05, the two took on a huge challenge: to establish a young alumni group. And this feat proved achievable. The group’s inaugural gathering was held this June at KC Bier Co.—and more than 30 alumni, ranging from the class of 1991 to 2017, came out to catch up, meet new faces, and enjoy a cold local brew. 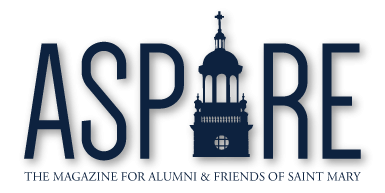 And on top of a successful first happy hour, the Spire Alumni Chapter has also named a council, finalized their charter, and elected their first president: Thomas. That spirit. That sense of community. That forever connection. That’s what makes a Saint Marian.